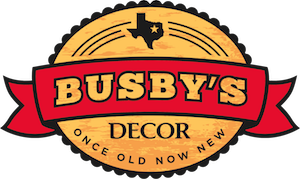 Busby's Decor is a unique company. We don't just repurpose furniture from once old to now new, but we also take custom orders. So if you like something from our collection, or you have seen something elsewhere that you love, we can customize to your needs! We specialize in one of a kind pieces! Check out our "About" page to know more, and be sure to "See Our Work", and an absolute must, be sure to "Meet Busby"! Have an old piece of furniture or something unique to sell? We are also always looking for new pieces to add to our bone yard to repurpose. Give us a call or send over some pictures and let us know what you would like for it. Copyright © 2019 Busbys Decor. All rights reserved.